Afrobeat is the hottest sound around right now. With D'Banj signing to Kanye West and an influx of massive tracks spreading from west Africa throughout Europe, the UK, Japan and the US, Afrobeats is about to do to Africa what Dubstep did to Croydon and Grime to Bow! To get a proper understanding of the scene, then there's one mixtape you have to check out. 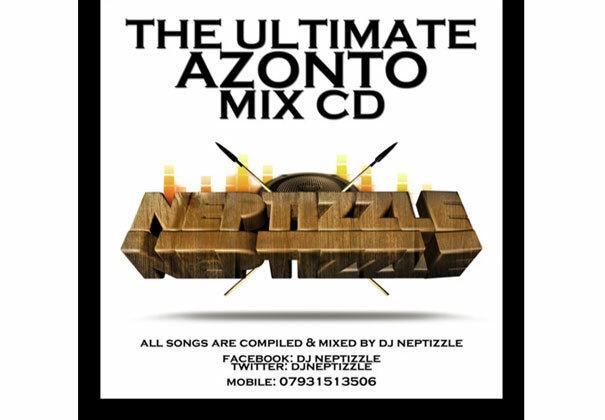 Azonto, mixed by premier Afrobeats DJ Neptizzle is a mind-blowing whirlwind of tunes that have been, are currently or are about to be huge. 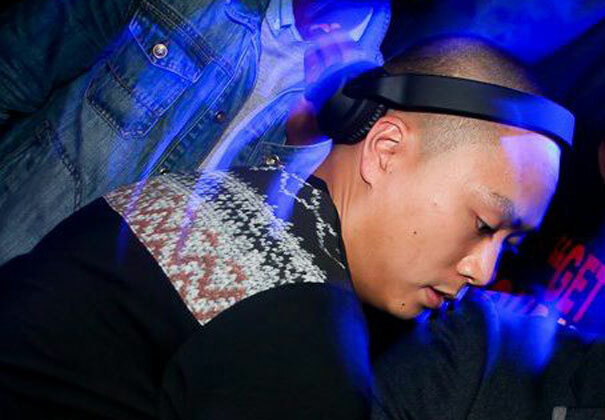 We meet the Vietnamese Londoner to find out more about Azonto and Afrobeats..
How does a guy from Vietnam, living in London, end up DJing African music!? I guess I’m just a product of my society. I was raised in Hackney, East London and 99% of my friends were either African or Caribbean. I started out heavily into the grime scene in 2003, playing out and experimenting with producing stuff when one of my boys introduced me properly to High Life/ Hip Life. He gave me a CD full of songs and gave me a week to learn the tracks as he wanted me to DJ at his event. I was thinking to myself, there's no way I can play this music. A week later I dropped it at the party and the crowd response was crazy. From then on I was hooked and here I am today. Can you explain your choice of DJ name? I used to love The Neptune's and it came from one of my friends trying to take the p*ss out of me but it stuck! For those that haven't been, can you explain the atmosphere at an Afrobeats night in the UK? It’s a party vibe… pure party vibes so expect champagne bottles, beautiful women and some serious dance moves from the beginning till when the security kicks you out. The Azonto mixtape. For those that have NO IDEA about Afrobeats, please can you tell us what to expect? The thing about the music is, even if you don’t understand the lyrics, the underlying thing is dancing. This is party music. So I don’t need to say anything, download my mixtape here and dance. Azonto is a type of dance that originated in Ghana… It’s a call and response type vibe and anyone who starts doing it will get hooked. So be warned, you will be azonto-ing to everything here on after. Check out an exclusive Wretch32 remix to a very popular song on the mix cd too. Wretch goes in! Dbanj is looking to be this year's big breakthrough. Do you think he could be the one to bring Afrobeats to the UK charts? Who else should we be checking out? Dbanj is definitely the guy to bring Afrobeats into the mainstream. He is an entertainer and anyone who has ever seen him live knows the energy he brings. He also has a great producer behind him in Don Jazzy, who is an absolute genius. And now with Kanye West co-signing the movement, these are exciting times. Also, check out Tiwa Savage and Wizkid. These guys are massive! Why do you think Afrobeats is finally starting to see success, both in the UK and beyond? I don’t think it is any one thing but lots of different reasons. First, the social media just made the world so much smaller. So I used to play at African parties, weddings, christenings and so on, those people then travel and share music with each other much faster online as opposed to mix cds that would trade hands before. Also the music is just getting better and better and people here in the UK are championing their own music and the mix of western upbringing balanced with the old skool. It’s great. But the fact the music is being supported en mass by its own people outside of the African continent is so key. The toughest part is staying ahead of trends. I’m not trying to be on time, playing tunes when they are supposed to be played. I’m trying to change what time it is - my G-Shock helps! What's the toughest decision you've made? I guess when I had to ask myself if I could make a living from my passion. I had to seriously ask myself "Do I leave my day job to become a full time Afrobeats DJ?" The fact that you're reading this article right now just shows how much of a right decision it was to leave. Where can people next see you play? Check my website here for where I will be. It’s been so busy and I am constantly up and down the length and breadth of the UK and am often in Ghana, Paris and Amsterdam… But be sure to come down and dance to some Afrobeats, Afrohouse you name it, the vibe will be there. Also check out Hotter Than You on May 18 in Dalston, east London.